Just a short note to say thank you for a job well done. You were on time and completed the work without any mess. I will certainly be recommending you to our family and friends. Hi Alan, I just want to say how pleasing it is to find great service these days. It’s a bad indictment on the modern world to say how thoroughly refreshing it is to have someone come to your home who gives you the correct advice (not what will make them the most money), respect your home and be so honest. Thanks for noticing that I’d paid you too much originally too! I have already recommended you to all my friends and family and if you want anyone to put a word in on your behalf at any time please send them my way! Hi Alan, just a quick note to thank you for the work you carried out for us the other day. You arrived when you said you would and were incredibly tidy. Being a window job I expected you to still be hard at it when I got back from doing the school run but all the windows were finished and looked superb. Couldn’t ask for more and I’d happily recommend you. Dear Alan, thank you so much for sorting out our window problem. The new glass has made a huge difference. Very tidy job and we’ve already recommended you to one of our neighbours. Thanks also for the bread and milk. A great help as the snow had left us cut off for days! When I got your voucher offering a discount on your Insulating Glass it made sense to ring you as I’d been meaning to get my steamed up windows sorted for ages. Quick, tidy job with no fuss whatsoever. Great stuff and I have to say you were right, the room was noticeably warmer after you left. I originally called as I couldn’t remove the key from my French Patio Doors. This was creating rather a security hazard. That was sorted in no time and as the price was so reasonable I also had a window replaced which I had been meaning to get done for ages. Thanks for your speedy response and excellent workmanship. I’d had a cheaper quote from another company in Chester and they proved to be totally unreliable. My bedroom window required attention and thinking that glass is just glass I went for the cheaper option. The other company failed to deliver on a number of occasions and eventually I went back to Alan and C2C. Within days my glass had been replaced in a thoroughly professional manner and I also have the added reassurance of a 10 year guarantee. Thank you for such prompt attention, I suppose the old adage that you get what you pay for is true! After calling numerous double glazing companies I was getting absolutely nowhere with the window I had which wouldn’t shut properly. Everyone just wanted to sell me more windows when there was nothing wrong with the window itself, it just didn’t close! I was virtually at the end of my tether until I spotted the C2C ad in the paper. Within an hour Alan had come round, sized up the problem and a new hinge was fitted. My window now shuts perfectly and my home is secure again. Thank you for such a prompt and honest service. We were the first customers of Cloudy2Clear Surrey and still very pleased. 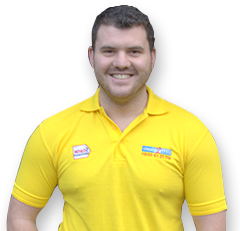 We definately wouldnt hesitate to recommend Chris and the team to anyone. Super job. My back door looks like new again. Thank you! Thank you Cloudy2Clear for a fast, efficient and very friendly service. Brilliant. My picture window once again looks a picture ! At last I have now got my lovely view across the valley. Great job. Thank you! Chris has my third job on order to be done when I return from holiday. This, I think, says it all about the level of service delivered by C2C. Thank you so much for sorting out our windows, we approached three companies and chose you because you turned up on time and offered a 10 year guarantee, we definitely made the right decision. The windows look fantastic and we will certainly use you again. Thanks for all your help with our conservatory, not only did you replace all the glass with the minim of inconvenience but you also managed to fix our door. Not only can we se our garden now, we can open both doors. It is rare to find such serviced and attention to detail these days, we will certainly recommend you to all our friends. Thank you for repairing my kitchen window. I can now look out onto my garden. I was very impressed with your service and we will be contacting you soon to replace the bedroom window. We did not want to replace our hardwood windows because they had steamed up and were so pleased when you said that you could just replace the glass. They now look like new, especially with the new leading. Your fitters were very tidy and courteous and even put our curtains back up for us when they had finished. We have passed your details on to several of our friends and will no doubt be calling you in the future to replace the glass at the rear of the house. Thank you for a job well done, we can now see out of our lounge window again and would not have waited so long had we realised how quick and inexpensive it was. Hi Phil, I just wanted to drop you a line to say thanks. When you came to look at the job I know you said that replacing the glass in my window wouldn’t take long but I expected you to still be at it when I brought you your tea! Couldn’t believe how tidy you were and just how little it cost! Put it this way, since the rest of the windows now look terrible compared to the one you’ve fixed I think it’s a fair bet that you’ll be coming back soon. Thanks again. Just a quick note to say I’m delighted with the work you completed on my windows and patio door. When I called I have to say I’d expected it to cost a lot more than you quoted me! Your team were quick and efficient and whilst they were here I mentioned that I had another door which was draughty due to a gap which I have never been able to resolve. An hour later they’d fixed that too. Great service! Hi Terry, I’d like to place on record how pleased I was with the installation of the new glass today. With my windows being wooden I wasn’t sure how much of a job it would be and I have to admit I was a little worried that my frames would be damaged. The team were clean, tidy and very reassuring and the glass was fitted in no time with no mess whatsoever. The windows look fantastic and I’m very pleased indeed. I have had no hesitation in recommending you to all my friends and colleagues so I would say you should expect a couple of calls soon! Hi Phil, just to let you know that since we brought you in to replace the original maintenance company I’ve had nothing but good reports from the residents. Normally when I get a contractor in I then wait for the phone to ring with complaints. With you I’ve had one call and it’s been nothing but praise! The attention to detail your company shows quite simply outstrips anyone we’ve had in previously. I’ve spoken to the commitee and they have confirmed to me that you are now our sole contractor for the windows and doors in the block. I’ll be in touch soon with the next job. For years I’ve hated the windows that were in my bedroom but the thought of having the whole window replaced just seemed like too much hassle. After you explained to me that I only needed to replace the glass I was very pleased indeed! The job was quick, clean and your team showed my house the respect it deserves. Thanks, you’ve solved my problem and at a great price too. Hi Phil, just wanted to register my thanks to you and the team. As you know I’d been told by other companies that it was impossible to replace the glass in my aluminium patio door and that the whole thing would need replacing. This was going to cost much more than I could afford. I’m so glad I picked up he phone to you. When you said it WAS possible and that you could have the job done by next Thursday I was amazed. The door now looks as good as new and I can now see my new lawn! Great job, quick, efficient, no mess and you’ve saved me a fortune. I’d score you 11/10 and will quite happily recommend your services. I would like to say that Ken completed a first rate replacement of my conservatory roof. He came along and explained to my wife and me the options for glass replacement. We decided to have toughened bronze antisun glass as the conservatory had 10 sheets of glass to be replaced. Ken explained the method of replacement and he arranged a convenient day and time to carry out the job. The work was completed like a military operation and went 100% to the plan Ken implemented. We are very pleased with the job and it was carried out professionally, neatly and most importantly, economically. My name is Mr Goodenough and I have to say the job Ken did was more than “good enough” for both my wife and myself. Hi Ken, I’ve just triggered payment from my home here in Australia so you should have it by now, I hope! Mum & Stu were delighted with the job you did on my house in Coventry and I think you’ve made a fan for life out of my Mum. Sorry about the wasp sting, if you were here I could lend you our Stingose (super whammy Aussie anti-sting) and one of Daniels Elmo plasters. Still at least it wasn’t an Aussie wasp, the things are at least 5cm long and the only good thing to say about them is that they’re so loud at least you get plenty of warning! Thanks for everything you’ve done for us, we’ll certainly be recommending you to any of our Midlands friends. I’d just like to say that Ken was fantastic. He fitted new glass to my conservatory door and left the job very clean and tidy even vacuuming up the deposits in the door track that you cannot get to when the door is in place! I have taken some cards from him to give to all my friends and family so that if any of them need their doors or windows fixed they know where to go. I would most certainly recommend Cloudy2Clear to anyone. I could not believe that in the space of an hour how much our room was transformed when Ken fitted our replacement patio window. Compared to quotes we had received for a new patio door it was an absolute bargain! My daughter also commented on how it made the room seem so much bigger, you wouldn’t think such a thing would make such a big difference. I was also delighted when Ken informed me how flexible he could be for when he could carry out the job as my husband works nights. True to his word he arrived at a time which suited the family, he was gone in an hour and we are very pleased with the work. There was no mess, no fuss just fantastic results! I would recommend Cloudy2Clear to anyone without hesitation. Our kitchen was looking very dull due to the cloudy windows. Ken changed the glass and what a difference! The room is now bright and refreshing. We were so pleased we also had a couple of bedroom windows done too. What impressed us was that Ken didn’t just change the failed double glazing but that he also repaired the seals on some windows which hadn’t steamed up yet and fixed our wooden back door as part of the service. The house was left absolutely spotless when he’d finished and it took no time at all. I will recommend Cloudy2Clear to anyone I know who needs windows or locks done. We’re delighted! I was going to get my double glazing windows replaced in their entirety until one day I spotted the Cloudy2Clear advert in the national press. My frames were in good condition and all I really needed was 20 panes replaced, so I filled in the contact form on their website to arrange a survey. Craig Russell came 2 days later to give an estimate and the job was completed 10 days later. The price I was quoted was thousands of pounds cheaper than it would have cost me for a complete set of replacement windows. Craig and his colleagues, were very pleasant, turned up on time, did an excellent job and I am delighted with my new windows. One further thing worth noting. I live in the East of Scotland and Craig lives in the West. The central belt was snowbound when the final part of the job was due to be completed. My local plumber was due at my house the same day but he cancelled because of the weather. I assumed that Craig would have to cancel too due to the long distance he had to travel. That was not the case however, as Craig braved the snow and turned up as he had promised and completed the job in very cold weather conditions. All in all, I would fully recommend this company to anyone wanting window pane replacements. Their great customer service and high quality of work deserves to be complimented and that is why I have written this review. If I had replaced my patio doors it would have cost £2,000 to £3,000 pounds at least. With the cost of living increasing all the time what an amazing saving I have made by taking advantage of your services, my most grateful thanks. I will most certainly recommend you and your expertise whenever, and whereever, I can. Dear Billy, I just wanted to let you know how pleased I was with my window replacement today and I shall have no worries at all in getting you to replace the rest of my panes with new double glazed units at the earliest opportunity. My husband, who was extremely wary and wanted to replace the complete windows, was very pleasantly surprised to find that not only is your service such great value but that you were so polite, friendly and, above all, clean workers. There was not a speck of dirt to be seen once you had finished. To say I would recommend you would not be praise enough. I recently had a problem with my conservatory when one of the roof panels slipped in its guide leaving me open to the elements. I called Cloudy2Clear who attended promptly and exactly on time. As the front door had a problem opening I asked Billy if he could go around to the back door. The first question Billy asked me was what was wrong with the front door and without more a-do he fixed it and then moved on to the conservatory. A few days later the conservatory was sorted too and I’d had both problems fixed for a very fair price indeed! Companies that go that extra mile will always have customers and I’m more than happy to say that Cloudy2Clear will certainly get my custom again in the future. Hi Billy, just to let you know that it was great to go into my sunny lounge this morning and see a clear view of our garden with the curtains drawn right back rather than halfway to conceal that horrid misty glass. Thanks for a quick, efficient job well done. Many thanks for sorting out our problems with the kitchen window, it is a great pleasure (and unusual these days) to deal with a company which is so very professional. We are very pleased with the work that has been carried out and will not hesitate to use you in the future if necessary. 90 degrees heat in my study after my double glazed window lock broke and it was impossible to open it to let in fresh air. I confess to thinking about breaking the window to get some relief from the heat. I called Cloudy2Clear and within 24 hours, the window was repaired. Previously another company representative had said the entire window needed replacing for a minimum charge of £600! 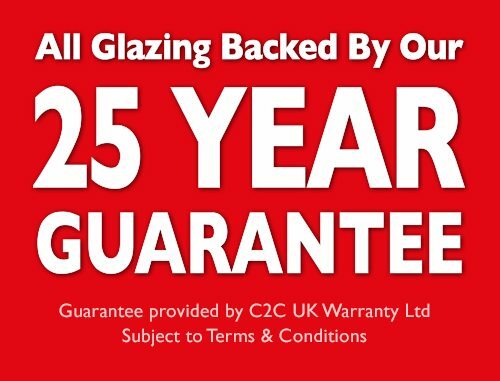 You really do replace failed double glazing; a friendly, economical and local service too. You were literally a breath of fresh air – a kind of windows paramedic. Many thanks for repairing our ageing front door and improving its security. The replacement glass in the kitchen outer side door has improved the light level considerably, Pat and I are both pleased with your work and appreciated the speed of response to our telephone call. I’m ‘over the moon’ with my new windows and I would recommend Cloudy2Clear to anyone! The service was very quick; the fitters arrived dead on time, were incredibly courteous whilst they were here and made no mess at all. Fantastic. I would quite happily recommend Cloudy2Clear to any of my friends. I have a first floor flat with a magnificent view overlooking Tynemouth Priory and the mouth of the River Tyne. Unfortunately I could not see any of this because my front window was steamed up. Cloudy2Clear identified the problem and replaced the glass within 10 days and all at a very reasonable price. Thank you so much, I now have my view back! I would like to thank you for the prompt attention to the order for replacement windows. I was very pleasantly surprised at the speed and excellent fitting of the Bay windows. The windows are of good quality and the price was very reasonable indeed. I know this because I had various estimates from a number of companies but I’m so glad I decided to go with you. Thank you once again. Many thanks for a superb service. The window now looks wonderful. I’m so glad I came across your company, you’ve saved me hundreds in comparison to buying a whole new frame. We are so pleased with the Insulating Glass that you installed last year. The awful condensation that we woke up to every morning has gone. It has made me realise what a chore it was mopping up. Also my asthmatic daughter is much happier without the dampness in the air. We saved a fortune by not having to replace all the windows, with the added bonus of the savings on our fuel bills in the future. I would also like to credit your 2 sons for the professional manner in which they carried out the installation and clearing up so well after themselves. I am so glad I bumped into you at the fuel station, as I would never have known of your fantastic product. Dear Trevor, we would like to thank you for your expert replacement service. We were very pleased with the results and its nice to know in this day & age companies such as yours put customers first with no added sales pressure of any kind only helpful suggestions. The first time we used you we had 4 windows replaced. We then asked if we could have another one done and it was no problem. We only had to wait a couple of weeks and you put it in when you were in the area. Thanks again and please be assured that we would most definitely highly recommend you to anyone. Dear All. Thank you for your recent efforts on our front door. My son came home and thought it was a new door! We didn’t realise you could just change the panel and handles. The hall is so much brighter now and the money we have saved will pay for the glass in the patio door when we have you back. Dear Trevor. Thank you so much for the excellent job you did on our windows. After enduring all the double glazing salesmen, it was refreshing when you smply measured up and left the quote with us with no pressure to make a decision. Not only have you saved us a bundle of money, but we have also kept our timber frames, which the others told us we couldn’t do. It’s refreshing to know that there are still some companies out there that don’t try to take you for a ride. Our next door neighbour has since asked for your number. Dear Trevor. We are very pleased with the new double glazing units and thank you for the friendly and courteous manner in which you carried out the installation. Dear Trevor. Thank you for the excellent job you did for us last week. You saved us £14,000 compared to what Everest wanted to replace the frames. We were very impressed with the lack of mess and your care to cover everything with dust sheets. The painter you recommended is coming next week to stain the new beading. Dear Trevor. Just a line to say we are so pleased we spotted your van at our neighbours. Our parents will be contacting you shortly after we told them how impressed we were with your work and your respect of our house. The rooms are so much lighter now, especially the dining room. We wish you every success with your business, it’s a great idea. Hi Trevor, its Mick Speight you fitted 4 new pains about a month ago at our home. I said I would let you know how the condensation was, well its good news. Its about 65% better than it was so needless to say when i get the money together I will be giving you a call to do the back of the house. Thanks very much i will speak to you soon. Just a quick line to say thank you for your prompt attention to our cloudy window problem. We found your service excellent from start to finish. It’s refreshing to deal with a company who deliver exactly what they promise when they promise it. Your fitter was punctual and cheerful plus obviously very experienced and the replaced unit matches the others perfectly. Your price was the icing on the cake ! (We put off having this job done before as we thought it may be costly and messy – it has been exactly the opposite). Amanda, I cannot believe how long I put up with the state of my windows for. I can now see out of them again. The fitters were polite, wore overshoes and cleaned up after themselves. I am delighted to have had the windows replaced and would have no hesitation in recommending your company to other people. We invited Cloudy2Clear to quote for the replacement of some irregular shaped double glazed units to the roof of our wooden conservatory. The quote was very reasonable so we instructed the work to be carried out. This was done quickly and efficiently at a time to suit ourselves. Sometime later we had a problem with a leak after heavy rain. They came back as soon as it was dry enough to reseal above where they had replaced the units. Excellent after sales service and no hesitation in recommending Cloudy2Clear. I have used Cloudy2Clear ever since they started over 2 years ago and used them on several occasions as and when my double glazed units have steamed up. The fact that I have used them so many times speaks for itself and particularly the fitter, Keith, who is always pleasant, smartly turned out in his uniform and does the fitting when the office says he will do it. I am only too happy to recommend Cloudy2Clear to friends and family. Hi, this isn’t an enquiry, i’m just emailing to thank you for an outstanding service. i have had two men come to my house who have been on time, professional and extremely friendly. they have not tried any hard sell just did what i asked. i would definately recommend Cloudy2Clear. the lady on the phone was very helpful too. Thank you! Unfortunately I recently had a fire at the house. The Fire Brigade were brilliant and put the fire out very quickly but to save my home they had to smash the door down along with the beautiful patterned glass within it. So glad I gave Andy a call. Not only was he able to match the pattern exactly so you can’t even tell but the price was so reasonable I was able to have 3 windows that had failed replaced too! In the past I have had a really bad experience with glaziers. I have employed 5 different companies previously and all have let me down so you can imagine that when I approached Cloudy2Clear that it was with a mixture of hope and trepidation I awaited Andys visit. 5 windows needed attention and I have to say that Andy and the team at C2C were magnificent. He took me right through the process, turned up when he said he would, quoted me with no pressure selling whatsoever, fitted the new glass on time, tidied everything up and the final invoice exactly matched the quote he gave me. I would highly recommend Cloudy2Clear to anyone, in fact Andy is fitting at my neighbours house next week. Thank you so much for the quick response to my enquiry. I was extremely impressed at the efficiency and neatness of your work. The price was very reasonable too – so much so that it was a simple decision to get all 11 windows of my barn conversion repaired not just the worst 4 which I had called you out to. The fact that you even managed to match exactly the unusual beading colour of the original was an added bonus as I really didn’t think anyone could supply it. I’ve already recommended you to my friends and family and I hope you get some work from them too. Dear James, thanks for a fantastic job. Your fitters were incredilbly clean and tidy even wearing protectors on their boots so my carpet was clean as a whistle despite them having worked on the windows. You were in and out in no time and when I started to clean the windows they even stopped me as they said it was their job to make sure everything was sparkling! The window now looks great and is a huge improvement at a very reasonable price. I would be more than happy to recommend you to anyone. My conservatory was supplied to me only 2 years ago but every morning myself and my husband had to mop up pools of water due to condensation. The original supplier didn’t want to know and I was in absolute despair until I called James in desperation. We were both worried sick that the conservatory was basically unfit for purpose as we didn’t have the money to replace it but James provided the solution with no fuss at all. I’d just like to thank James so much for his help. It really is nice to know that there are still nice people out there willing to help and not cost the earth and I’ve already passed his number on to my friends in case they ever need his services. I really didn’t believe that our windows could be repaired until I rang James & C2C. Our windows are sealed in hardwood and I have had many local traders refuse to tackle them as they saw it as too much hassle. I was beginning to despair until James came to see me. My big fear was that since the last fitter had used a claw hammer on my frames (and destoyed them & my glass) I was in for the same again. Nothing could be further from the truth. C2C treated my hardwood with incredible care, guaranteed they would leave the job better than they arrived (which they did) AND fitted me with the latest Insulating Glass which will save me money on my bills. Brilliant! I’d like to say how delighted I am at the speed and efficiency of the Cloudy2Clear team. Despite being retired I still lead a very busy lifestyle and was pleasantly surprised when they told me that fitting my replacement window on a Saturday morning was no problem at all. They had the job done within an hour (in the rain! ), my window looks fantastic and they tidied up as if they’d never been which was a huge relief as the grandchildren arrived just after they’d left. I’ve already told James that I’ll have my bedroom window replaced too as soon as I can fit him in! I called James as I’d had a break in at the house. Having had a couple of other quotes I had a good idea of the sort of price expected but what I hadn’t taken into account was the speed and quality of the service Cloudy2Clear offered me compared to other local companies. Unlike the others James priced the job honestly and fairly, taking into account the installation and fitting and with no ‘hidden extras’ required. He then proceeded to have the glass manufactured and fitted within a day of my giving him the order – even fitting the new window on a Saturday morning which was a massive difference to the 2 weeks waiting time I’d been quoted by others. As I work nights this was perfect. A great job and a great service. Well done James.